“We had a nasty storm go through here last month and a nearby lightning strike knocked out some of our electrical appliances including a more or less direct hit on the air conditioning unit outside. The system inside the house seems to be okay, but the central air unit was toast. Once the insurance adjuster completed his analysis he gave us the go-ahead to have a new A/C installed. The Carrier Performance system is just 3 years old. We discussed options with the contractor and decided to go with the Carrier Performance 24APA7 to take advantage of the tax credit and to boost the SEER so we can lower bills. 2-stage operation from the scroll compressor produces more balanced and efficient cooling. Uses Puron/R-410A refrigerant which is environmentally responsible. WeatherArmor Ultra protection system that keeps the internal components safe. Strong, galvanized metal cabinet with louvered sides for protection and optimal air flow. High-pressure and low-pressure switches protect the compressor when conditions are not optimal. Multiple noise reduction features produce quiet operation as low as 71db. Compatible with standard thermostat, the Carrier Infinity Control or the Carrier Thermidistat. Sizes available from 2 to 5 ton cooling capacity. 10-year limited warranty on the compressor and all other functional parts. Installing a central air conditioner takes specialized know-how as well as a few tools that most of us don’t have. Getting it done right is the key to getting the performance out of the unit that you expect. 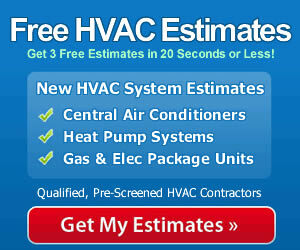 When shopping for the lowest central air conditioner prices, be sure to find a qualified contractor who knows his business and has a good reputation. If you spend the extra money to get the high efficiency of the Carrier Performance Series Model 24APA7, you want to make sure you’re getting that 18 SEER so you can start paying yourself back through lower energy costs every month.